With Madden 25 releasing... well, basically right now, I thought it would be a good opportunity to look back at the series and highlight some of my favorite 'Madden Moments' from over the years. I have not played every single release, but I have played most of them spanning from my Sega Genesis to the PlayStation 3, and plenty of systems in between. Welcome to the pros. My first exposure to the series was on the Genesis, and it was a world of difference from playing Tecmo Super Bowl on my NES. Tecmo Super Bowl helped me to discover a love for the NFL I had not possessed before, but Madden really helped to foster it. Back then, you did not have player names, but the pre-game breakdown covered strengths and weaknesses for every team. Sure, they never mentioned Randall Cunningham by name, but I knew full well who the 'Ultimate Weapon Quarterback' who had a bullet arm and the ability to outrun many running backs was. Player names came later, but the play book and heavier emphasis on action made a huge impression on me back then. Injuries. Probably the most sadistically amusing thing for me in the series was the ambulance. 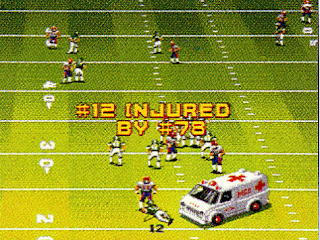 Of course injuries in the real game are never funny, but in video game form? I was all for them. Late hits and brutal shots to the quarterback justified the penalties because they were entertaining and sometimes, a good way to vent frustration if your defense had just gotten burned. For a short time though, injured players were taken off of the field in an ambulance that in comical fashion, knocked over everyone in its way. Franchise Mode. This redefined NFL games for me back in 1998. Going through a regular season to try and win the Super Bowl was fun, but the micromanaging RPG freak in me was in seventh heaven when draft picks and trades were added to the mix. Once you added things like retiring players and player progressions/recession between seasons? I was beyond hooked - and I was not alone. The music. Franchise mode often meant that my friends and I would spend dozens of minutes - maybe hours of our time tweaking our rosters to our liking. The music selection in games had a tendency to be somewhat limited, and you would hear the same basic song droning on for hours. I remember the first time Madden offered actual artist-performed music tracks to the game. My buddy's wife commented to mine: "You know someone's wife came up with this idea after being sick of the same song for hours on end." She was probably right. Madden became a college staple. A handful of titles became synonymous with a large segment of my college friends and even just casual acquaintances. 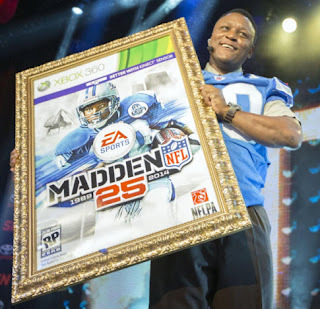 Titles like Golden Eye and Mario Kart were favorites because of the competitive atmosphere they fostered for up to four players, but Madden was also a common title playing in dorm rooms every fall. Sometimes we were just playing quick matches for bragging rights. Several of us would dig into a franchise mode and go through several seasons, passing around the memory card between one another and making sure to sit down and play together when we had head-to-head games. Winning a one-off game was good for a bit of boasting, but winning an entire season - or several seasons - with your team in franchise mode was the ultimate bragging right among our group. Sometimes we would have multiple franchises running with different groups of friends. It was as though we could not get enough of it. Online play. I picked up one of those network adapters for my PlayStation 2 that came with Twisted Metal. While I found the automotive carnage entertaining, it was Madden that got the most use out of my newly discovered connectivity. There were all kinds of problems back then. People cheated, players dropped out of matches and internet connectivity was considerably worse back then (dial-up was still a thing for many people). All of those things being said, once you found a couple of friends you could reliably play a game against, it was a blast being able to play Madden with a buddy on the other side of the country. Innovations. Madden is accused every year of trotting out a roster update with a fresh coat of paint, and nothing more. For those who have tracked the series for a long time however, we know that is not the case. Certain year to year the changes tend to be doled out in smaller increments, but when you compare the title to say three or five years before, you start to see some of the more significant changes. In 2002 you could create a team or stadium in your franchise. The right analog stick on controllers began to be used for things like running moves, power tackles and creating hot routes for receivers on the fly. 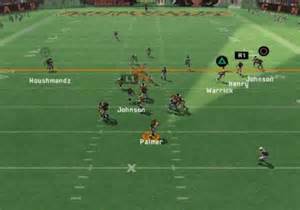 A play book editor, online franchises, the Infinity Engine, editing player positions and more have become staples of Madden - and other sports games as well - and many of those started with the venerable football series. Certainly some innovations worked better than others (I am looking at you 'fight for the fumble' and 'QB cone of vision), but chances have been taken over the years. Community. This is still an evolving process, but Madden has done a great job of using our connected world to try and make the football franchise not just a game, but a place for people to congregate around it. Most of my friends from college live in very different zip codes than my own now, but we can play together in online franchises now. You can upload media to the EA websites to share it with others. You can Tweet out your scores to those who follow you. You can use images of yourself to create a face model for your player/coach. Slowly but surely, the barriers of distance are coming down, and this trend will likely continue with the next generation of consoles. I am not going to try and argue that any game of Madden football was perfect, or that the series itself should not be subject to criticism. Glitches occur - if you do not believe me, watch the video below with the phantom safety. Online connectivity can be an issue - especially for my friend who lives so far in the country that he relies on a very poor wireless signal for his internet because he cannot get cable or DSL run out there. Madden's introduction to the PlayStation 3 was horrendous - an almost shameful, barren effort. Some years the commentary was boring at best, and broken at worst. Fans of the NFL however, understand and prescribe to yearly updates. Every year players retire, new players are drafted and veteran players are signed as free agents. Rosters update, teams start the season with the same record and rabid fan bases enter autumn with their hopes renewed. The league may make incremental rule changes, teams may get new coaches that offer up some new twists over what they saw the previous year and inevitably some aspects of the team improve while others take a step back. That is the cycle of Madden and NFL fans everywhere. Fall is my favorite season of the year - and both Madden and the NFL are two of the main reasons why. Looking outside, I see the trees are growing brown and the air is starting to get just a little bit cooler. Fall and football - they are here. BTW, you can go ahead and just tell us we won't see you for a few months, it's okay. Speaking of glitches though, did you see the shadow glitch in the demo this year?